A University Park man has been arrested in connection with a southwest suburban mall shooting that left another man dead. Jakhaar Williams was arrested Jan. 22. 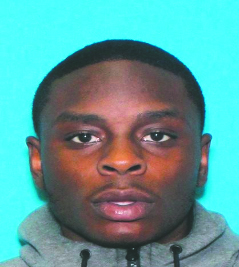 The South Suburban Major Crimes Task Force, working with the Orland Park Police Department, said they were able to locate Williams, 20, of 696 Madisen Lane, on the evening of Jan. 22 and take him into custody. Williams was wanted in connection with the Jan. 21 shooting inside Orland Square Shopping Mall that killed 18-year-old Javon Britton. Police said Britton had been shot several times in the incident that occurred at 6:44 p.m. Britton was transported to a nearby hospital, where he was later pronounced dead. Orland Park police said as officers were locating witnesses and reviewing video, it was discovered that Williams had fled the mall prior to officers’ arrival. Police said their investigation revealed that the shooting was an isolated incident and that Williams and Britton knew each other. Shortly after the incident, police, said, Williams was identified as the shooter. Police said that Williams had a warrant out for his arrest for a parole violation.